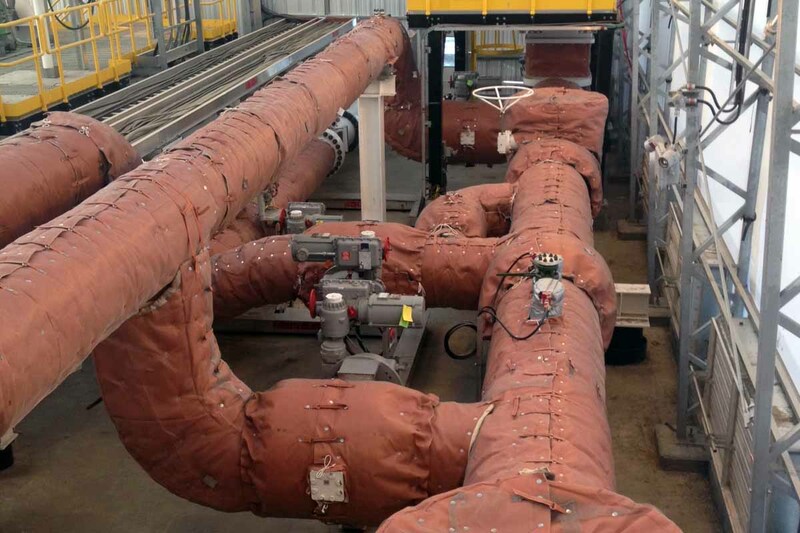 Vertex manufacturers and installs custom removable insulation blankets in Alberta, British Columbia and throughout the rest of Western Canada. 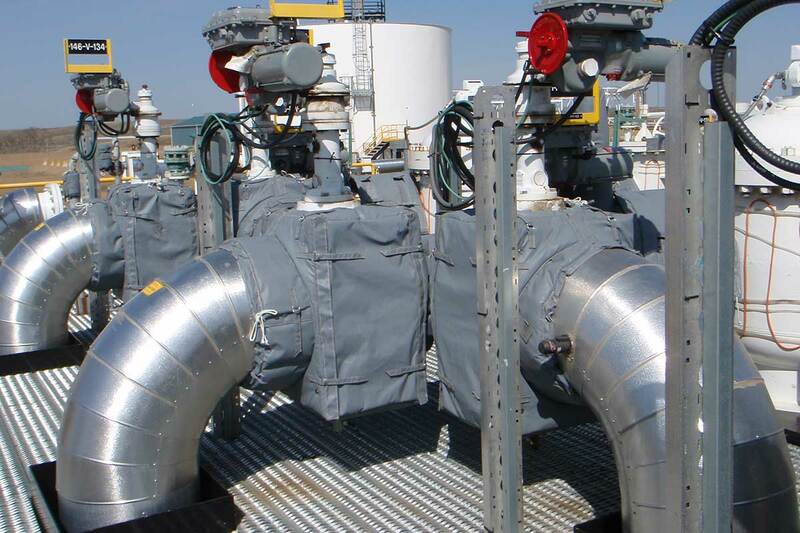 Vertex’s removable insulation blankets are designed to fit the most difficult to insulate areas that require thermal temperature control and protection. 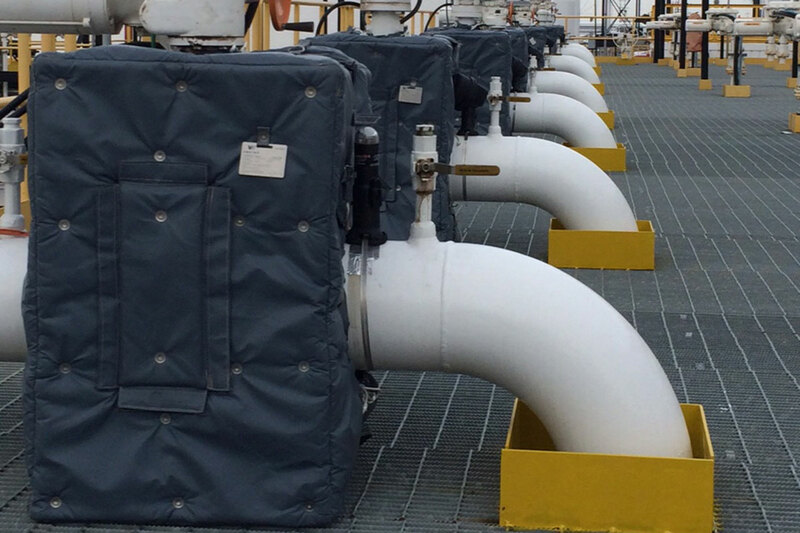 Our custom made removable insulation blankets can be fitted with various fastening systems to suit your particular application. 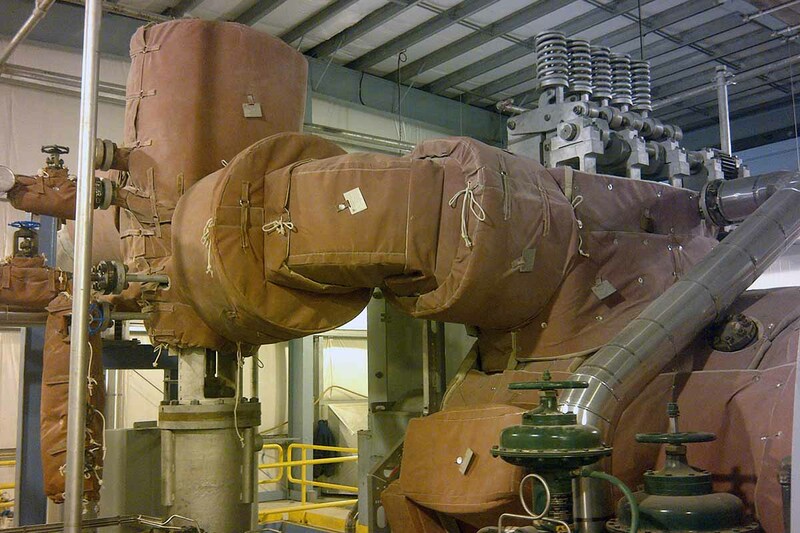 Our 12,400 square foot soft cover blanket manufacturing facility is located in Edmonton, Alberta. With a team of industry professionals utilizing innovative technology, Vertex is capable of completing any size project and can arrange delivery to meet the most demanding schedules. Vertex has adopted as our minimum, one of the most comprehensive available standards, PIP INSR 1000 Guidelines. 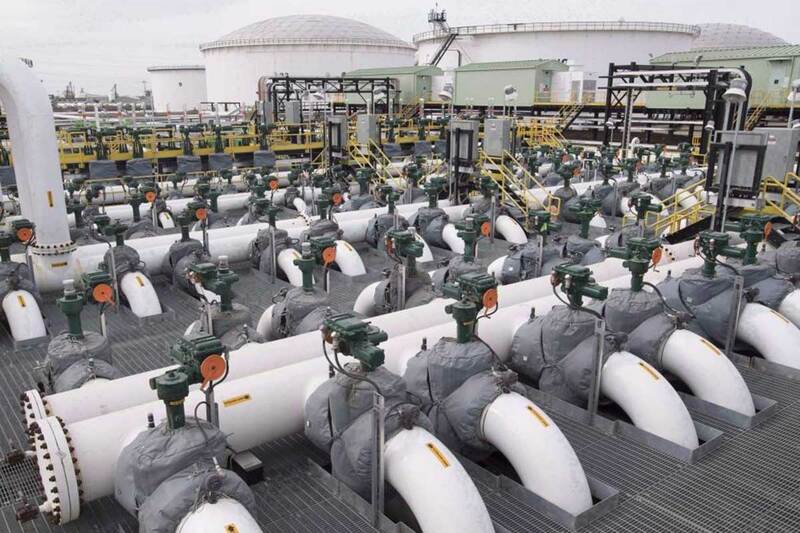 Process Industry Practices (PIP) is a consortium of process industry owners and engineering construction contractors who serve the industry. PIP was organized in 1993 and is a separately funded initiative of the Construction Industry Institute (CII), at The University of Texas. 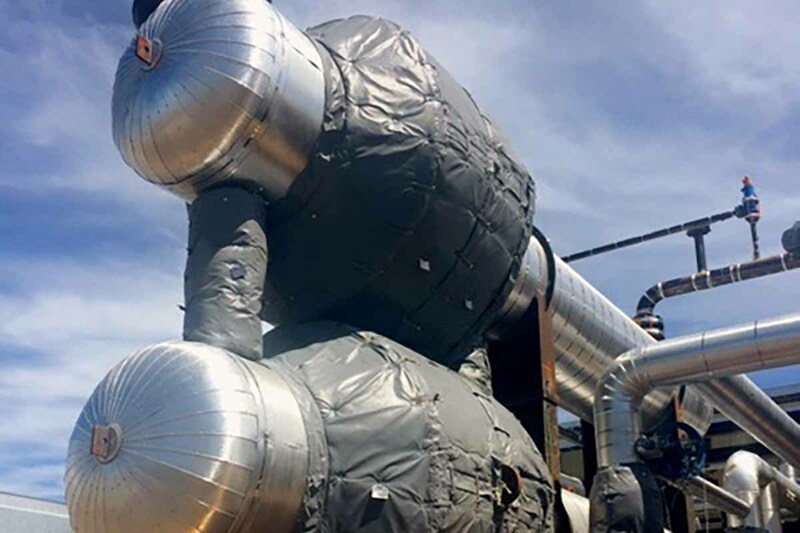 Vertex is an industry leader in custom removable insulation blankets, for high temperature plant and field applications. 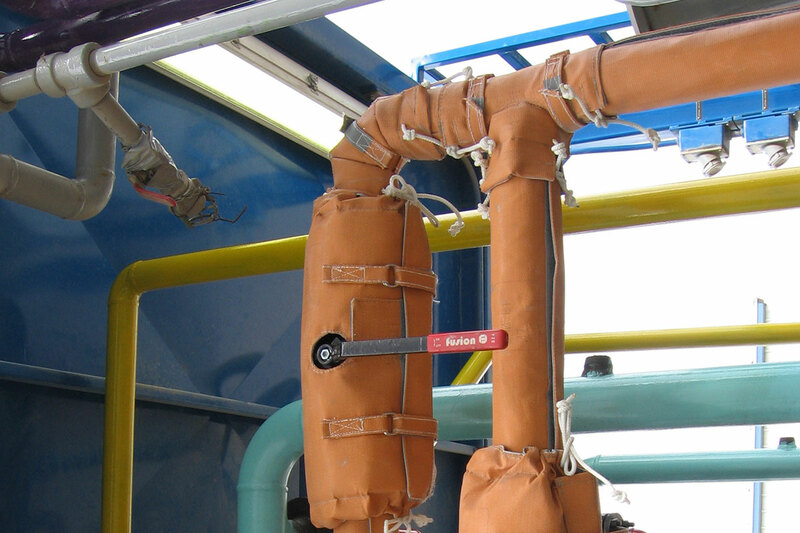 Covers are designed to give the best insulation values and control convective, conductive, and radiant heat loss. 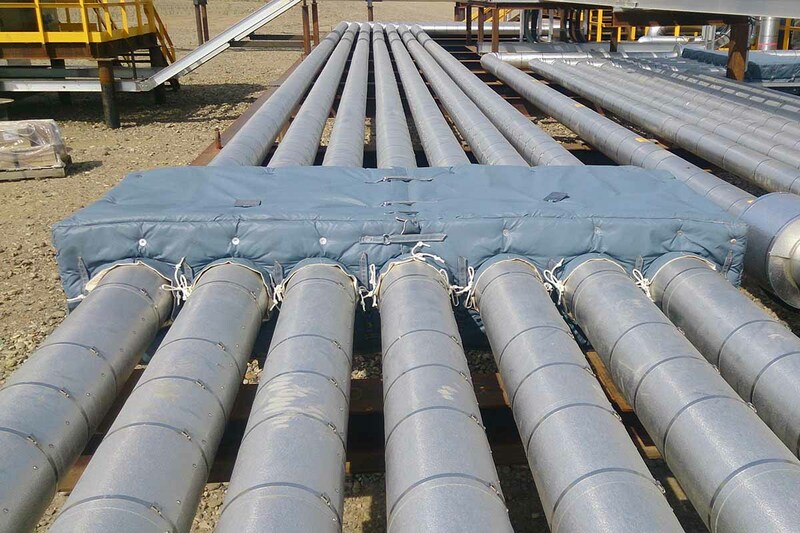 Vertex manufactures and stocks Tracer Wrap / Pipe Wrap in most standard pipe and tubing sizes using E-glass, Pyrogel XT (Aerogel), or closed-cell foam rubber insulation.